Now enrolling for Sept. 2018! Serenity Montessori Academy is located on 19 Church St. in Verona, NJ adjacent to the First Congregation Church of Verona. Historically, the first nursery school in Verona began at this location in 1966. 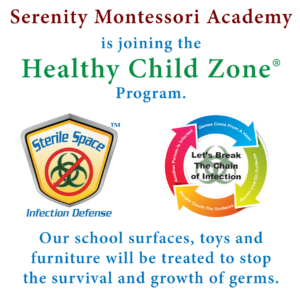 It is with great pride to continue this legacy and announce the opening of Serenity Montessori Academy on September 19, 2016. Read our Business Profile in Verona Neighbors! Serenity Montessori Academy’s mission is to personally oversee that each child evolves into an independent thinker; cognitively stimulated from their daily Montessori lessons, experiences and interactions. We celebrate individuality in learning by creating an integrated educational system that promotes self-sufficiency but also interdependence and respect of all humanity and nature. This uniquely prepared learning environment nurtures values that create social responsibility and mutual respect, enhanced by a strong partnership between school and home. 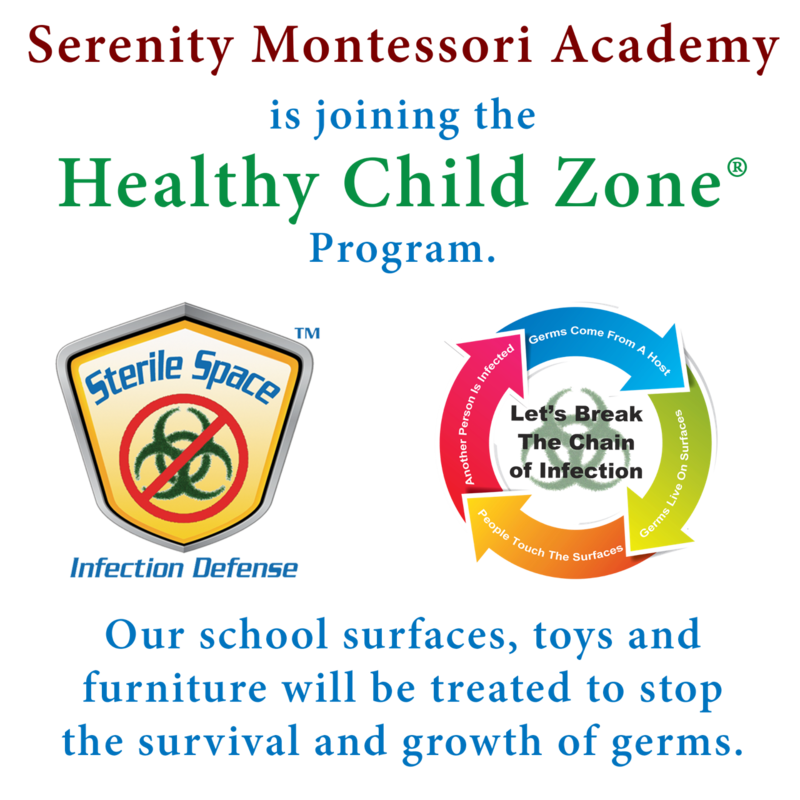 Click the image below to learn about how Serenity Montessori Academy is providing a safe, clean and sterile environment for our students and staff.